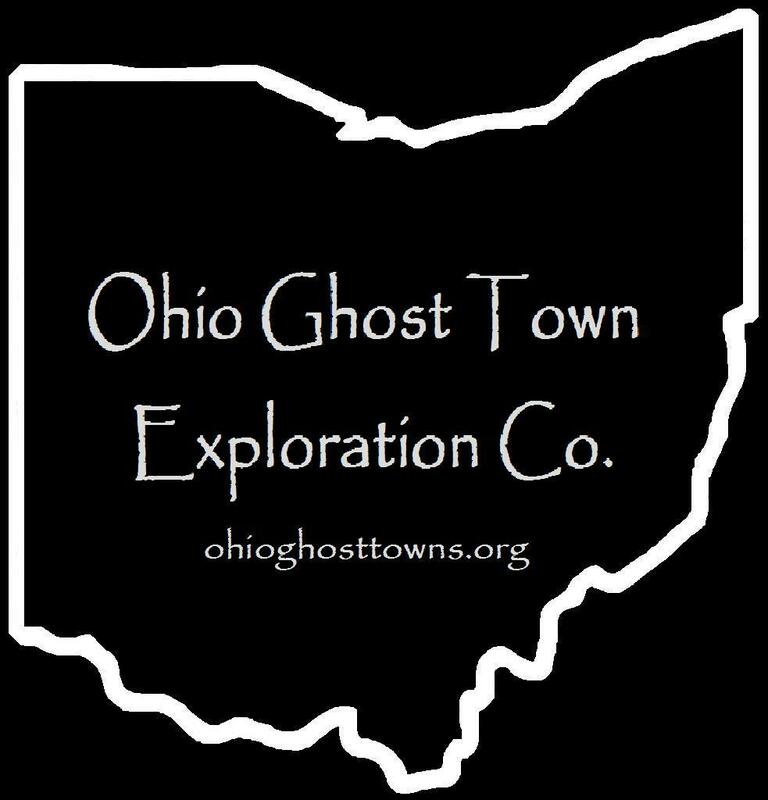 Trumbull County – Ohio Ghost Town Exploration Co. Description: Of course when diving into the county history books, the Civil War Battle Of Antietam at Sharpsburg, Maryland was all that popped up. Thankfully those aren’t the only resources we have for research. This Antietam was founded by its postmaster Sophronia Jane (Spencer) Knight (1843 – 1910). She married Civil War veteran Frederick H. Knight (1842 – 1893) in 1866. A saw mill on the east side of Bushnell Campbell Rd south of the GPS coordinates was owned by Charles Banning (1821 – 1903) & a school (Hartford Township No. 7) south of the mill was on land owned by Dr. James Irwin (1843 – 1894) from Ireland & Anna (Bushnell) Irwin (1841 – 1901). Sophronia & Anna were likely friends, or at least knew each other. They were both born in Trumbull County & members of their respective families who had the local roads named after them. Everyone mentioned in this listing was buried with relatives in West Street Cemetery. Description: Its proprietor was Elam Bentley (1811 – 1873) who donated land for the railroad path that runs through the area. His parents were early pioneers across the state border in Mercer County, Pennsylvania. Elam had 8 children, 6 with his first wife Rachel (Dilley) Bentley (b. 1816), & the other 2 with Elizabeth (Thomas) Bentley who he married in 1860. Description: Bazetta Centre can be found on the 1856 county map. It had a school, Presbyterian church, & a cemetery. The 1874 & 1899 atlas also have a township hall listed at the former crossroads. The town was long gone by the time the Flood Control Act Of 1938 was implemented & the lake was completed in 1944. Description: Boanna was near McDonald on the B & O Railroad. Description: It was founded by a branch of the Booth family in the county. Description: The town was named after Titus Brockway (1775 – 1840) from Connecticut & Minerva (Palmer) Brockway (1778 – 1826) who purchased a grist mill & saw mill next to Yankee Run & settled there in the first decade of the 1800s. Prior to their arrival at Brockway Mills, Titus was the first justice & postmaster in the township & planted the first apple tree that successfully fruited. The mills were destroyed by fire in 1822 & both of them were rebuilt. The second grist mill also burned down in 1826 & wasn’t rebuilt after that. Titus had several children with Minerva & remarried after she passed away. The property was inherited by their son Edward (1804 – 1868). Joseph Burnett (1808 – 1898) & Cassandra (Courtney) Burnett (1816 – 1892) bought the land & saw mill from Edward in 1855. They had 8 children, one son & 7 daughters. A Methodist church was constructed in 1857 & the town had a school (Hartford Township No. 2) on the Burnett farm. Peter Carlton (1821 – 1893) was the first postmaster. Byron Sutliff (1854 – 1927) was appointed to the position after Peter passed away. The Burnett & Sutliff families were related by marriage. Titus & Minerva Brockway were buried with relatives in Hartford Township Cemetery on SR 305 (Wilson Sharpsville Rd) in Hartford. Joseph & Cassandra Burnett & Peter Carlton were buried with relatives in Brookfield Cemetery 3 & 1/2 miles south of town at the intersection of SR 7 & SR 82 in Brookfield Township. Byron Sutliff was buried with relatives in West Street Cemetery on the south side of SR 305 west of Hartford. Description: In its early days in the mid-1800s Chestnut Ridge had saw mill on Little Yankee Run owned by Adam T. Mizner (d. 1884) & Mary Ann (Hager) Mizner (d. 1899). They had 8 children & a 250 acre farm. Adam was a deacon of the Presbyterian church in Brookfield & a member of the board of directors of the Hubbard National Bank. The Van Ness family operated a blacksmith shop. Chestnut Ridge had a few schools during its existence. One on them on the 1899 atlas (Hubbard Township No. 3) was on the north side of Chestnut – Ridge Rd across from N Fox North Rd. The town was along 2 railroad lines in the late-1800s, the Lake Shore & Michigan Southern Railway & the New York, Pennsylvania, & Ohio Railroad. Description: There’s quite a lot to sort out for this small farming & postal town. It started out with a Methodist Episcopal congregation formed in 1819. A post office called State Line on the Atlantic & Great Western Railroad just south of the GPS coordinates opened in 1839. In the 1850s the town was known as Kinney’s Corners (Kinne’s Corners), named after the family that owned most of the land. It had a wagon shop operated by the Kinne family, a school (Kinsman Township No. 2), & still had the railroad’s State Line post office which ran until 1867. Nathan Kinne (1805 – 1873) who moved to Ohio from Massachusetts was the postmaster for most of its existence. The railroad closed shortly after the post office was disbanded & the tracks were subsequently removed. After Nathan passed away the town was called Coles for about a decade with Harmon Cole (1826 – 1890) & Sivilla (Royal) Cole (1827 – 1914) being the proprietors. The Cornelian post office opened up at the town’s main intersection in 1882 & ran under that name until 1902. In these present times the area is called Cornelion. Nathan Kinne was buried with relatives in Kinsman Presbyterian Cemetery on Church St in Kinsman. Harmon & Sivilla were buried with relatives in State Line Cemetery. The current State Line Methodist Church brick structure was completed in 1892. Description: Dewey was on the Lake Shore & Michigan Southern Railway. Portions of the former track bed can be seen on satellite maps. It had a school (Kinsman Township No. 1) in the southeast corner of the intersection & a half mile horse racetrack at the Kinsman Fair Grounds on the west side of Williamsfield Kinsman Rd south of the GPS coordinates at the bend where the road turns from due south to slightly southeast. There was also a train station at the racetrack to help bring in visitors. The land was owned by Sophia (Burnham) Kinsman (1825 – 1912). She married Thomas Kinsman (1804 – 1875) in 1847 & had a few children. Sophia was buried with relatives in Oakwood Cemetery on SR 169 (Niles Rd SE) in the City Of Warren. Thomas was buried with relatives in Kinsman Presbyterian Cemetery on Church St in Kinsman. Decription: The town was founded by Stephen Doughton (1822 – 1908). He was married 3 times & had 8 children. Doughton had 2 train stations, one on the Lake Shore & Michigan Southern Railway & another on the Erie Railroad. Stephen was a farmer, coal tycoon, owned a saw mill, & engaged in politics. In the coal industry, he opened mines with the Mahoning Coal Company on his land northwest of the GPS coordinates, constructed the coke ovens at Washingtonville, Ohio in Columbiana & Mahoning County, & was one of the founders of the Leetonia Iron Works in Columbiana County. The expansive “beehive” coke ovens in Leetonia are still an impressive sight to behold to this day & offer an interesting glimpse into Ohio’s coal industry past. Stephen was buried with relatives in Lisbon Cemetery on Elm St in Lisbon, Columbiana County. Description: Germantown was platted on land owned by T.W. Lewis. It had a school (Hubbard Township No. 2) on the east side of SR 62 across from the GPS coordinates & 2 local churches to the north on Chestnut – Ridge Rd. The outline of the plat can still be seen on satellite maps & there’s occasional remnants from the old town among the mostly newer residences in the area these days. Description: It was in the southern half of the township on land called the Kingsbury Tract, previously owned by James Kingsbury (1767 – 1848) from Connecticut & Eunice (Waldo) Kingsbury (1769 – 1842) from New Hampshire. They purchased land from the Connecticut Land Company & were the first settlers in the Western Reserve, which Ohio was carved out of, & were the first residents of Cleveland. After living next to the Cuyahoga River for a while, they moved over to Newburgh Township & founded the Newburgh Settlement. James was a judge & served in the state legislature from 1805 – 1806. The Connecticut Land Company also gave the Kingsbury family a 100 acre lot for their struggles due to the harsh wilderness Ohio was in its early days & their willingness to remain as the first permanent settlers. Description: Longsville first appeared as a small plat on the 1874 atlas just south of Germantown & was founded by Henry Long (1821 – 1905) from Pennsylvania & Helen M. Long (1824 – 1891). As with Germantown, Longsville faded into oblivion in the late-1800s & didn’t make it into the 1901 Cram Atlas. Henry & Helen were buried with relatives in Old North Cemetery on the west side of US 62 (Hubbard Rd) south of the GPS coordinates. Description: The town was founded in the early 1800s along with its Methodist congregation. There was a saw mill next to Squaw Creek south of the GPS coordinates, a wood frame church was constructed in 1850 in the southwest lot of the main intersection, & a school (Vienna Township No. 4) operated for several decades at the intersection of Smith – Stewart Rd & SR 193 (Youngstown Kingsville Rd SE). Milo Booth (1814 – 1896) from Vermont & Julia (Hall) Booth (1816 – 1895) owned much of the local land in the mid-late 1800s & had a few children. The Hickox & Clark families were also influential in the area & were prominent land owners. Many residents, including Milo & Julia Booth, were buried in Vienna Center Cemetery on SR 193 at the intersection of Warren – Sharon Rd (Co Hwy 329). Description: It was named after the Moser (Mosier) family in the county & was on the New York, Pennsylvania, & Ohio Railroad & the Pennsylvania & Ohio Canal. In its early days, the town had an oil mill & saw mill on the south side of Squaw Creek & a coal depot on the north side of the creek on land owned by the 25th Governor Of Ohio, David Tod (1805 – 1868) who served in the office from 1862 – 1864. The last public building constructed in Mosier was a one-room school built in 1887 at a cost of $800. Description: The original proprietors were John Mott (1774 – 1846) & Harriett Mott (1795 – 1847). It was a small farming town with a steam powered saw mill on the east side of Hoagland Blackstub Rd north of House Craft Rd & a school on the south side of House Craft Rd between the lake & Hoagland Blackstub Rd. The eastern half of what was once Motts Corners was submerged by the creation of Mosquito Creek Lake, including the entire portion of Durst Colebrook Rd (Co Hwy 195) which formerly stretched through the middle of the township. John & Harriett Mott were buried with relatives in South Mecca Cemetery on Crawford Rd off of SR 46 north of Cortland on the east side of the lake. Some of their descendants & later town proprietors were buried in Hillside Cemetery on Youngstown Kingsville Rd NE, also on the east side of the lake in Cortland. The Hoagland (from New Jersey) & Mott families were related by marriage. Description: Residents of Mecca township always knew there was an abundance of oil in the vicinity & it was commonly thought of as a nuisance. Land that was known to contain the substance couldn’t fetch good prices when put up for sale & hampered many hopes of clean water wells for farm owners. When oil was starting to get looked at as a potential valuable commodity in the mid-1800s, word got out & speculators from all around the country set their sights on Mecca. Also called Dixie, Oil Diggings was platted in 1859 – 1860 & quickly turned into a boom town. Its post office was called Oil Diggins with M.M. Tuttle serving as postmaster. Hotels & grocery stores were immediately constructed to accommodate the speculators & there was a steam powered saw mill on the west side of town on the north side of House Craft Rd which aided in construction efforts. Land values in the township skyrocketed to up to four times their previous value. Several wells were dug in the area & Oil Diggings had a chance of becoming a prosperous city in the future. Unfortunately the amount of oil that was easy to get to at the time ran out much sooner than expected. The Civil War contributed to the town’s decline & there were also the usual problems of other boom towns such as illegal alcohol sales, gambling, & unwanted rudimentary dwellings that were considered to be eyesores. Some of the buildings were cheaply sold to residents of Warren who moved them with sled runners when it snowed in winter & other buildings were simply left to rot away. Oil Diggings was long gone before the 1882 county history books were published. Improvements in machinery & oil extraction techniques in the later 1800s & early 1900s kept the industry going in various parts of the township though. Description: Old Burg Hill was the original location of the town of Burghill. Its post office, store, & the commercial center of town were moved north to Vernon Township where its train station on the Atlantic & Great Western Railroad was constructed prior to publication of the 1874 county atlas. Old Burg Hill is listed in great detail & the pinpointing of its buildings on the 1856 county map. Description: It was a small farming town with a blacksmith shop, wagon shop, & a school (Liberty Township No. 7) on the west side of Warner Rd SE. William Tully (1857 – 1930) was the first postmaster. His family owned much of the land in the area in the mid to late-1800s. He was buried with relatives in Vienna Center Cemetery on SR 193 at the intersection of Warren – Sharon Rd (Co Hwy 329). Helen Leslie (1848 – 1929) was the last postmaster. She was buried with relatives in Seceders Corners Cemetery about 3 miles south of town on SR 304 (Liberty St SE). Description: It was founded by a branch of the massive Stewart family in the county. Description: Sugar Creek runs from Johnston Township & through the northwest corner of Vernon Township & up into Kinsman Township. It was named for the sugar maple tree groves found in the area. Description: The proprietors were Allen Jewell (1860 – 1919) from Vernon Township & Emma (Karr) Jewell (1861 – 1921) from Mercer County, Pennsylvania. The post office was on their 101 acre farm in the northeast lot at the GPS coordinates. Allen was successful in many endeavors in life, including farming, real estate, & business financing. He was the director of the Kinsman National Bank, president of the Jefferson And Warren Telephone Company, & secretary of the Kinsman Cattle Company in Custer County, Nebraska. Allen & Emma were married in 1883 & purchased the 101 acre farm in 1884. They build the house & several of the farm buildings which still occupy the property. The house was as modern as one could get at the time with hot & cold running water, a furnace for heat, & gas powered lighting. The town also had a school (Vernon Township No. 3) in the northwest corner of Allen & Emma’s farm & cheese factory directly across Orangeville Kinsman Rd from Jewell Greenville Rd on land owned by Allen’s father & stepmother. Allen & Emma were buried with many relatives & descendants in New Kinsman Cemetery on Church St in Kinsman. Description: The town was founded by Alexander Sutherland (1767 – 1845) & Sarah (Schoonhoven) Sutherland (1768 – 1836). They were the first permanent settlers in Newtown Township, moving to Ohio from Westmoreland County, Pennsylvania in 1802, & purchased 205 acres along Duck Creek. Alexander was a Freemason, the first surveyor of Trumbull County, the second recorder, postmaster of the Sutherland office, & held various other public positions. During the times when the post office wasn’t called Sutherland it went by Duck Creek. There was a school on the north side of Hallock Young Rd west of the GPS coordinates. Alexander & Sarah had several children & were buried with relatives in Duck Creek Cemetery. Duck Creek is still a populated place but its center has since moved a few miles north. Description: Walnut Hill first appeared with a plat in the 1874 county atlas. Some of the lots were purchased & there was a school (Brookfield Township No. 8) on the east side of Sharon Hogue Rd north of Walnut Hill Rd which can be seen along with the still existing plat in the 1899 county atlas. Although the area was never abandoned, the town itself disappeared in the early 1900s. Description: It was a small farming town with a school (Bristol Township No. 6) on the west side of Corey Hunt Rd. The school was on land donated by the Fansler family. Description: The original proprietors were Amos York (1847 – 1911) from Indiana & Lois (Schrycengart) York (1850 – 1932) from Bristol Township. Its post office was called Barclay & is still a populated place. There was a cheese factory on the south side of SR 87 (Kinsman Rd NE) across from the intersection of Barclay North Rd (Co Hwy 287) & a school on the north side of Gardner Barclay Rd near the intersection of Mayburn Barclay Rd close to where the post office was. Amos & Lois had a few children & 2 of their sons, Joe & Job, donated land for the track bed of the New York Central Railroad in the early 1900s. Amos & Lois were buried with relatives in New Kinsman Cemetery on Church St in Kinsman. Some other residents were buried in East Gustavas Cemetery. The town was founded by Michael Ohl (1784 – 1857) & Eva (Moyers) Ohl (1786 – 1860). They were married in 1838 & had 8 children. Michael constructed a saw & grist mill in 1844 on the banks of the Meander Creek, operated a hotel, & was the first postmaster of the office that ran from 1841 – 1902. The first church in Ohltown was built in 1838, a school in 1857, & a bank in 1868. During the 1880s the town also had about 30 houses, a blacksmith shop, two stores, a newer grist mill, & a train station on the Niles & New Lisbon Railroad. Many of the local residents worked in coal mines or at the Meander Iron Furnace. There are several Ohl descendants buried in Ohl Town Cemetery next to the United Methodist Church at the intersection of Ohltown Rd & Austintown Warren Rd. It’s right across the Mahoning County border in Trumbull County. Michael & Eva Ohl were buried in Old North Cemetery on SR 46 (N Broad St) in Canfield. Today Ohltown is basically a suburb squeezed between Youngstown, Austintown, & the Meander Creek Reservoir.